I always love a pretty fit and flare dress. Finding one in a pretty print is just a bonus. 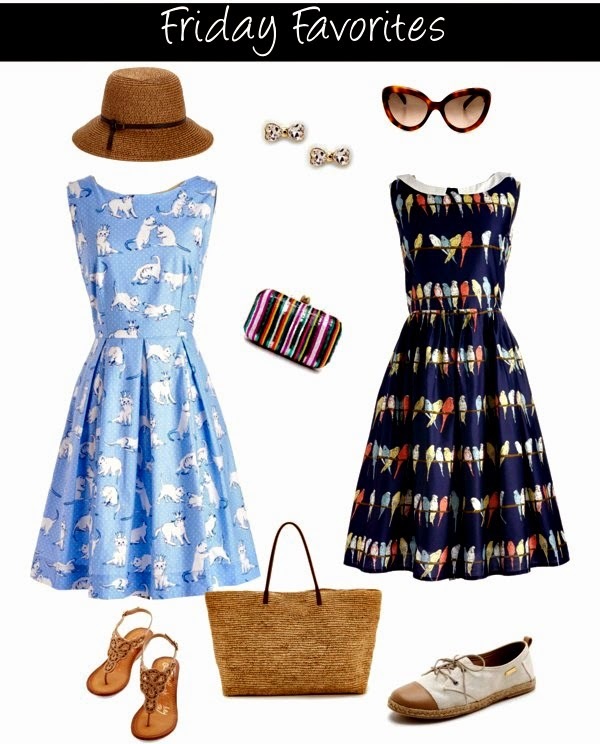 These two dresses in their adorable animal prints are just so beautiful. I love the pastel colors in the kitten print dress and the brighter colors in the parakeet dress. My favorite item above would have to be this. I love all of the beautiful colors. I would want to carry it everywhere. What about you? That cat dress is too cute! Have a wonderful weekend! Ohhh my goodness, those dresses are too cute, love them both! I would buy that cat dress in every single color if I could.